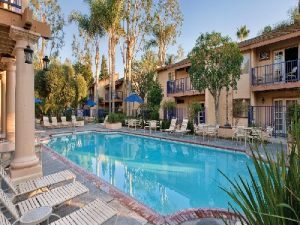 A Great California Timeshare Resort near Disneyland in Anaheim! 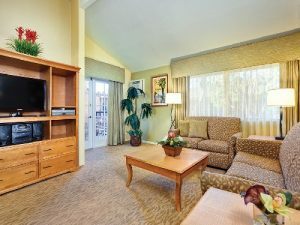 The Wyndham Dolphin's Cove Resort is in Anaheim within a mile of Disneyland™ and Disney’s California Adventure™. 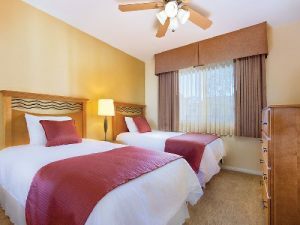 This Wyndham timeshare resort is perfect for the whole family. The resort offers great children/family activities, an outdoor pool, hot tub, miniature golf, and a picnic/BBQ area. 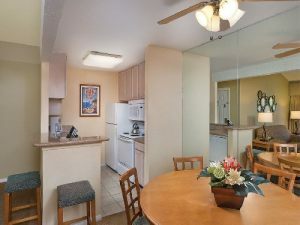 Each of the Anaheim timeshare condos is air conditioned and comes with a full kitchen, separate dining area, separate living as well as wi-fi connections to make your stay enjoyable. Each Dolphins Cove Resort unit also includes a balcony/outside sitting area to enjoy the California weather and free on-site parking. The neighboring area has many restaurants and places to shop. Of course the main attraction in the area is Disneyland™. 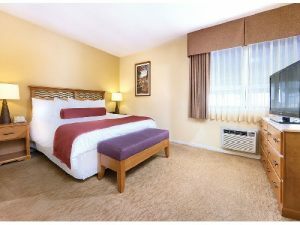 So when you are planning a trip to Disneyland™ or Disney’s California Adventure™ be sure to consider Wyndham Dolphin’s Cove Resort for your timeshare stay.